I recommend the multiplayer mode where you can play with your friends or girlfriend. Because that’s when the emotions come out and everyone can feel the sacrifice. The good news is you can sacrifice for your friends even if you’re a thousand miles away. 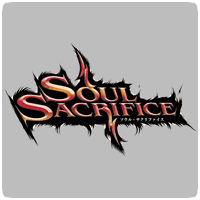 Soul Sacrifice supports online multiplayer, Famitsu magazine reports. Thanks for the tip Chase Acker.